The ACM Multimedia Systems conference (http://www.mmsys.org) provides a forum for researchers, engineers, and scientists to present and share their latest research findings in multimedia systems. While research about specific aspects of multimedia systems is regularly published in the various proceedings and transactions of the networking, operating system, real-time system, and database communities, MMSys aims to cut across these domains in the context of multimedia data types. This provides a unique opportunity to view the intersections and interplay of the various approaches and solutions developed across these domains to deal with multimedia data types. Furthermore, MMSys provides an avenue for communicating research that addresses multimedia systems holistically. As an integral part of the conference since 2011 2012, the Dataset Track provides an opportunity for researchers and practitioners to make their work available (and citable) to the multimedia community. MMSys encourages and recognizes dataset sharing, and seeks contributions in all areas of multimedia (not limited to MM systems). Authors publishing datasets will benefit by increasing the public awareness of their effort in collecting the datasets. All submissions will be peer-reviewed by at least two members of the technical program committee of the MMSys 2014. Datasets will be evaluated by the committee on the basis of the collection methodology and the value of the dataset as a resource for the research community. basic characterizing statistics from the dataset. Papers should be at most 6 pages long (in PDF format) prepared in the ACM style and written in English. This entry was posted in CfP, Conference, General, Research and tagged CfP, Conference, Multimedia, Research on July 5, 2013 by Mathias Lux. My keynote presentation of the Content Based Multimedia Indexing Workshop on “User Intentions in Multimedia” is now available online at SlideShare. This entry was posted in General and tagged Conference, presentation, Research on June 19, 2013 by Mathias Lux. The 11th International Content Based Multimedia Indexing Workshop is to bring together the various communities involved in all aspects of content-based multimedia indexing, retrieval, browsing and presentation. Following the ten successful previous events of CBMI (Toulouse 1999, Brescia 2001, Rennes 2003, Riga 2005, Bordeaux 2007, London 2008, Chania 2009, Grenoble 2010, Madrid 2011, and Annecy 2012), the University of Pannonia, Hungary organizes the 11th Context Based Multimedia Indexing Workshop on June 17-19 2013 in the historical town of Veszprém, Hungary, near the spectacular Lake Balaton. The workshop will host invited keynote talks and regular, special and demo sessions with contributed research papers. This entry was posted in Conference, General and tagged call for papers, CfP, Conference, Multimedia, Research on February 27, 2013 by Mathias Lux. October 21–25, 2013 Barcelona, Spain. This entry was posted in General and tagged CfP, Conference, Research, Science on January 8, 2013 by Mathias Lux. Why did you record this video? – An Exploratory Study on User Intentions for Video Production. Why do people record videos and share them? While the question seems to be simple, user intentions have not yet been investigated for video production and sharing. A general taxonomy would lead to adapted information systems and multimedia interfaces tailored to the users’ intentions. We contribute (1) an exploratory user study with 20 participants, examining the various facets of user intentions for video production and sharing in detail and (2) a novel set of user intention clusters for video production, grounded empirically in our study results. We further reflect existing work in specialized domains (i.e. video blogging and mobile phone cameras) and show that prevailing models used in other multimedia fields (e.g. photography) cannot be used as-is to reason about video recording and sharing intentions. This paper has been published and presented at WIAMIS 2012. This entry was posted in Conference, Research and tagged intentions, paper, proceedings, Research on May 29, 2012 by Mathias Lux. Two research contributions of me and my colleagues finally made their way online. The paper Adaptive Visual Information Retrieval by Changing Visual Vocabulary Sizes in Context of User Intentions by Marian Kogler, Oge Marques and me investigates how the size and generation process of visual word vocabularies influences retrieval for different degrees of intentionality, being a clear search intent, a surfing intent and a browsing intent. The paper Which Video Do You Want to Watch Now? Development of a Prototypical Intention-based Interface for Video Retrieval by Christoph Lagger, Oge Marques and me presents selected results of a large scale study on the motivations of video consumption on the internet. This entry was posted in General, Research and tagged image retrieval, intentions, Research, Video on March 17, 2012 by Mathias Lux. 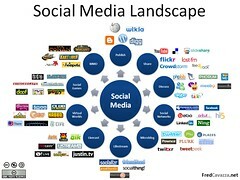 Recently there was quite a buzz around the whole social media topic. Many researchers saw indications that the willingness or people to share and annotate content might lead to new ways of indexing, searching and consuming multimedia. The biggest problems with the buzz is … that it’s BIG 🙂 Many research groups produced even more papers and with the rising number of papers the scientific impact got smaller and smaller. However Neela Sawant, Jia Li and James Z. Wang took a close look at more than 200 papers and provide a survey on part of the topic with the journal article “Automatic image semantic interpretation using social action and tagging data” in the Multimedia Tools and Applications journal. This entry was posted in General, Research and tagged cbir, paper, Research, Science, semantics, tagging on January 4, 2011 by Mathias Lux. The lifecycle of images and other types of visual information contains numerous actions that are triggered by user intentions and goals. Every little action, from content production to retrieval of previously stored visual information, takes the user a step forward towards a state where a user assumes that a goal has been achieved. Examples of such intentions are “learn how to tie a tie”, “be entertained” or “show video of a holiday to relatives”. With the advent of social systems and its social multimedia networks, the actions of a user have become more and more transparent. Comments, ratings, recommendations, search queries and history, upload activity logs, and communication records can be analyzed to infer a user’s goal. This goal can then be used to leverage retrieval of multimedia content and to better adapt multimedia systems to users’ needs. Moreover, the goals of content producers and providers can be analyzed and matched with the goals of the content consumers. In this special session we want to bring together researchers and practitioners from the visual information retrieval, image analysis and multimedia systems research. We aim to discuss recent scientific advances and also first results of greenhouse work on user intentions in multimedia. This entry was posted in CfP and tagged CfP, Conference, Research, Science, user intentions, Workshop on November 8, 2010 by Mathias Lux.